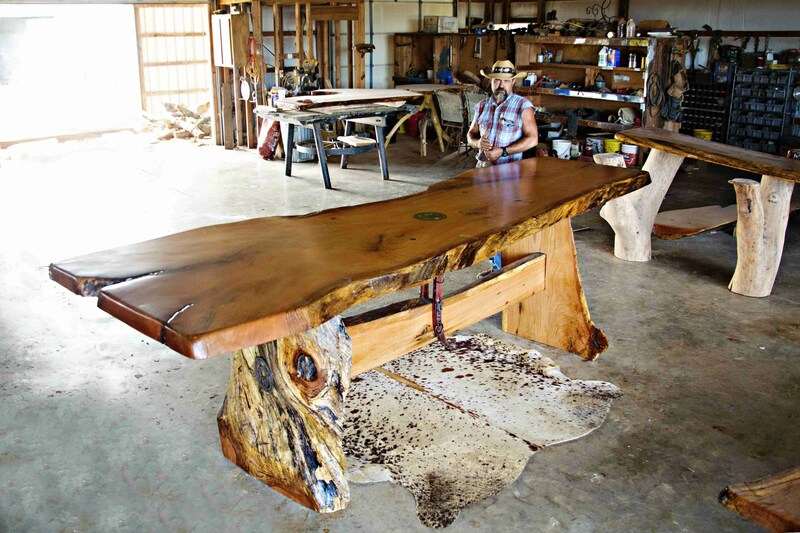 Palmer Rustic Furniture takes pride in creating beautiful, western style log furniture. All wood products and materials have been reclaimed or salvaged. We proudly build our furniture the old-fashioned way – by hand and the sweat of our brow. We focus on quality craftsmanship, authenticity, and rugged durability. The make of furniture in each residential home consists of great detail, color, and design. The majority of the material used for these projects is wood! We offer several types of wood, along with different bases, to help customize your rustic furniture project. They each bring home the origins of their nature. Palmer Rustic Furniture offers you classic, western style log furniture to be the display of your home decor and your next conversation piece. 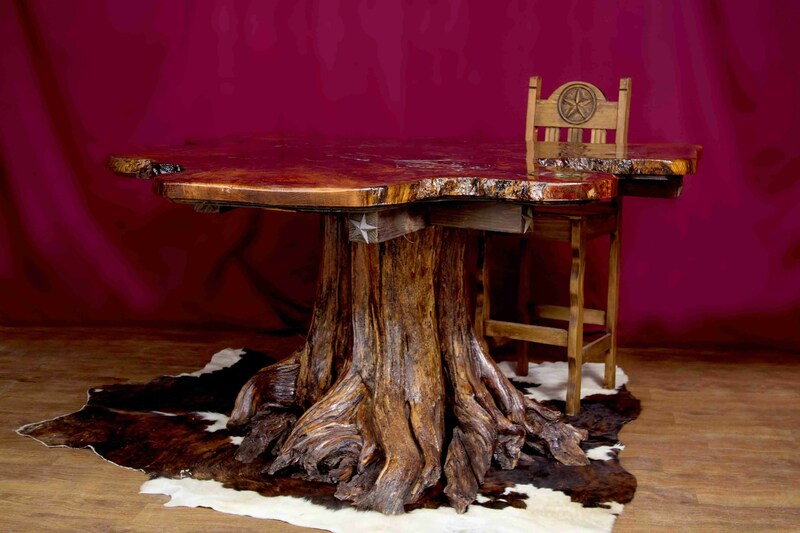 Our furniture consists of live edge dining tables, western style conference tables, and custom bars that are sure to exceed your expectations. If you are unsure about which piece would fit well with your interior decor, give us a call and speak with the artisan himself. Customization is always an option to suit your needs for a slight up charge. Just let us know what you are looking for and our knowledgeable staff would love to discuss your ideas. Proudly serving the residents in Stigler, OK contact us today to get your custom log furniture quote.